Rustlin’ Rattlesnakes!!! Get a preview of our KID mystery set in the wild, wild west! Invite your littles over for a root beer social they will never forget! The Honky-Tonk Saloon is located in the fading western town of Silver Springs. which serves the best root beer this side of the Mississippi! Or so it claims. you best be ready to solve a mystery and catch a bandit! Everyone in Silver Springs is counting on you! mystery and mischief in the wild, wild west! THAT’S RIGHT! 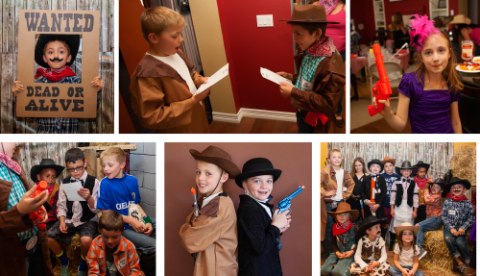 Our latest venture is aimed for your little cowboys and cowgirls! But mind you, this little mystery is chock-full of all the fun you find in all of our mysteries! 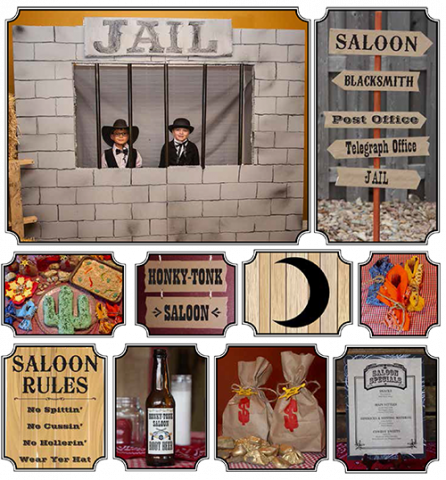 In addition to the party itself, you will find LOADS of ideas for decorations and fun activities! And a WHOLE WEBSITE devoted to party planning ideas specifically for THIS party! Curious how our kid mysteries work? NO PROBLEM. Check out this How To Play Page, which will explain everything! 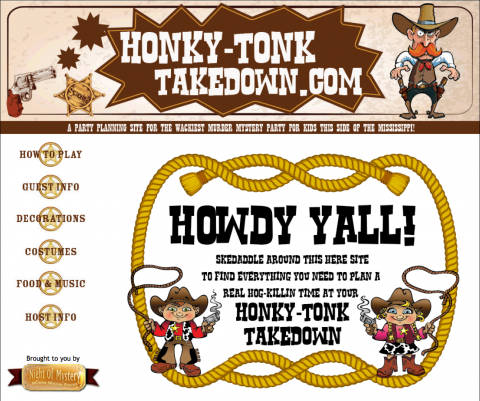 So skedaddle on over to Night of Mystery and start planning your Honky-Tonk Takedown today!